The situation was complicated by the fact that Hofkin lives in Long Lake, Minnesota, while her mother resides in a continuing-care retirement community outside Boston, Massachusetts. Hofkin is one of 7 million long-distance caregivers in the U.S. These are adult children who care for aging parents who live an average of 450 miles away, according to the National Alliance for Caregiving and the MetLife Mature Market Institute. Having to move quickly, family members who live far away are unable to easily navigate the labyrinth of medical, social and financial resources that aging parents may need to live safely in their own home. "It is very difficult for a layperson to manage the different aspects of the fragmented delivery system," says Penny Hollander Feldman, director of the Center for Home Care Policy and Research at the Visiting Nurse Service of New York, located in New York City. Once you get the assessment, you'll need to decide how to proceed. Hofkin, a photographer, decided to hire a geriatric care manager. A physician friend referred her to Suzanne Modigliani, a Brookline, Massachusetts, clinical social worker. When Hofkin's mother needed to be hospitalized last summer, Modigliani arranged for a private aide to stay in the hospital room. She helped the elderly woman address some issues, such as the amount of attention she was getting from the doctor. During her regular visits, Modigliani checks if her client is taking her medicine, exercising and eating enough. "It eases everything for us and my mother," Hofkin says. Hofkin's family pays Modigliani $140 an hour. Care managers charge hourly rates running from $75 to $150, says Deborah Newquist, a care manager in Costa Mesa, California, and past president of the National Association of Professional Geriatric Care Managers. If you don't want to use a care manager, you can put together the care pieces yourself. That's what Michelle Baker of Bethesda, Maryland, did seven years ago when her mother, Ann McLeod, of Asheville, North Carolina, began suffering the effects of dementia and cardiovascular disease while she was in her late 50s. Baker cobbled together a network of family friends, neighbors and professionals to help her mother, who lived alone. These three friends, plus five others, agreed to check on her mother, pick up groceries and get her to doctor appointments. In addition, Baker stayed in touch with her mother's physicians and part-time home-care workers. "It was a complicated care network," Baker says. She had the system in place for nearly two years before McLeod moved in with her. McLeod later moved to an assisted-living facility. For many seniors, cooking or grocery shopping is an issue. 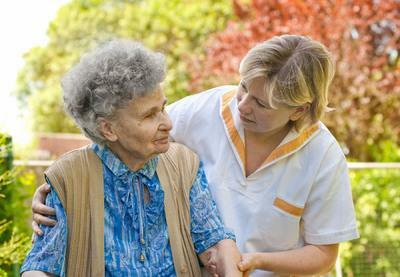 The local aging agency can recommend nutritionists and food-delivery services. Meals on Wheels (www.mowaa.org; 703-548-5558) could be an option, and some programs offer additional services. For example, Meals on Wheels and More in Austin, Texas, offers grocery-delivery, handyman and pet-care services. Find out which local food shops deliver. If Dad can't cook, a personal chef could prepare a week's worth of meals. To find a personal chef nearby, visit the Web site of the American Personal and Private Chef Association (www.personalchef.com; 800-644-8389). Consider your parent's social life. Put a plan in place to help your parent pursue favorite activities. Perhaps that could take the form of regularly scheduled outings to a senior center, which can offer everything from theater trips to a game of bridge. It's wise to plan ahead, says Carol Levine, director of the Families and Health Care Project at New York City's United Hospital Fund. Levine says adult children should talk with their parents while they're still healthy about their wishes regarding living at home or moving in with adult children, powers of attorney, and end-of-life decisions. "It's preferable not to have to do this in a crisis," she says.